Why the punk rock theme for Valentine’s? My favorite pair of vintage boots are the red bad boys you see pictured. 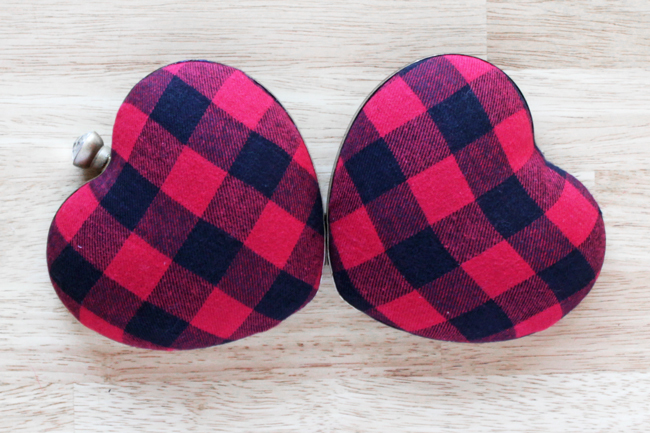 I’ve been in need of a cute accessory to compliment them this Valentine’s Day, and I found a red plaid fabric remnant at the store that I was dying to use. 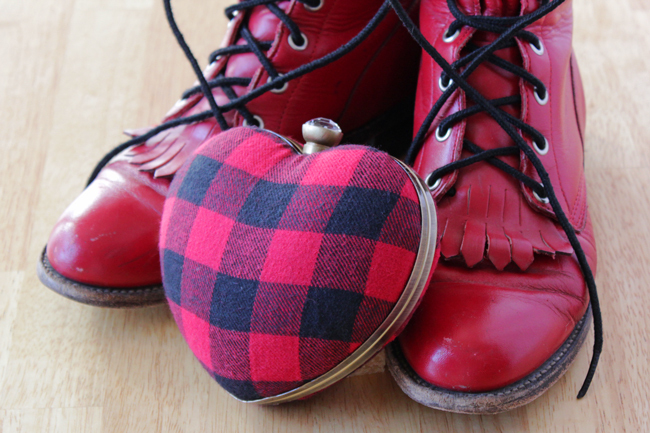 I’m totally going out on Valentine’s Day looking like a punk rock cupid in these accessories! Now, let’s chat about the project itself. 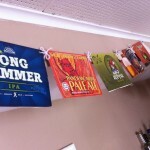 I have always loved purse frames. They’re what define the look of many cute (usually metal, often vintage) clasped purses. 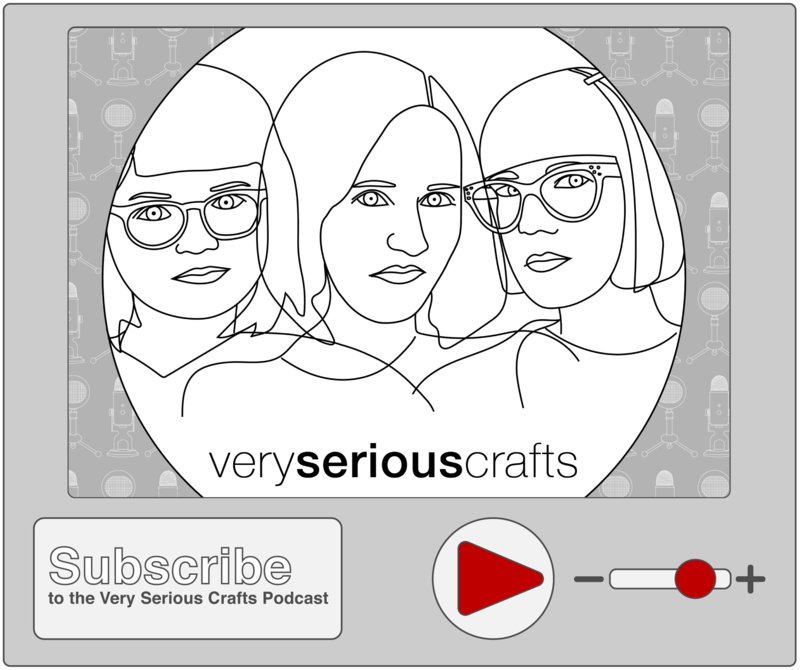 I’d never worked with them because I thought they required some magic Project Runway winner-level sewing wizardry to use. Turns out, not at all! 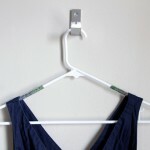 This is a great no-sew project that comes together in no time. 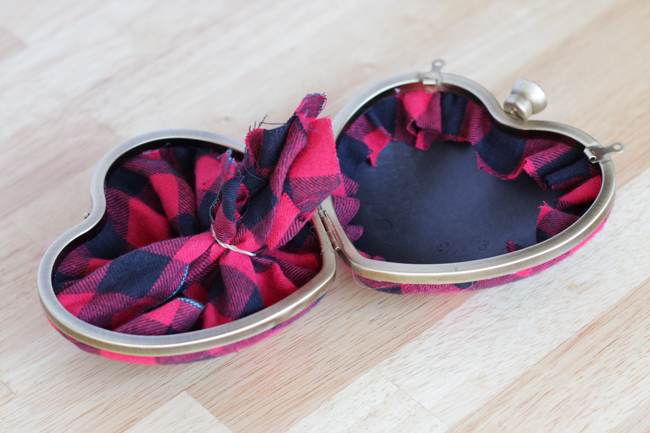 This project is really easy and quick, and the heart purse frame is what makes it come together so easily. 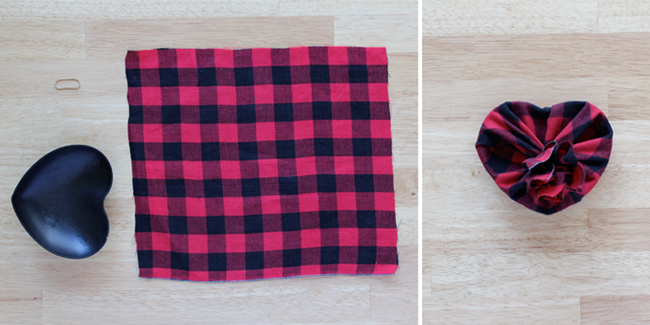 To begin, iron all of your flannel and cut it into swatches big enough to cover your plastic heart backings entirely. 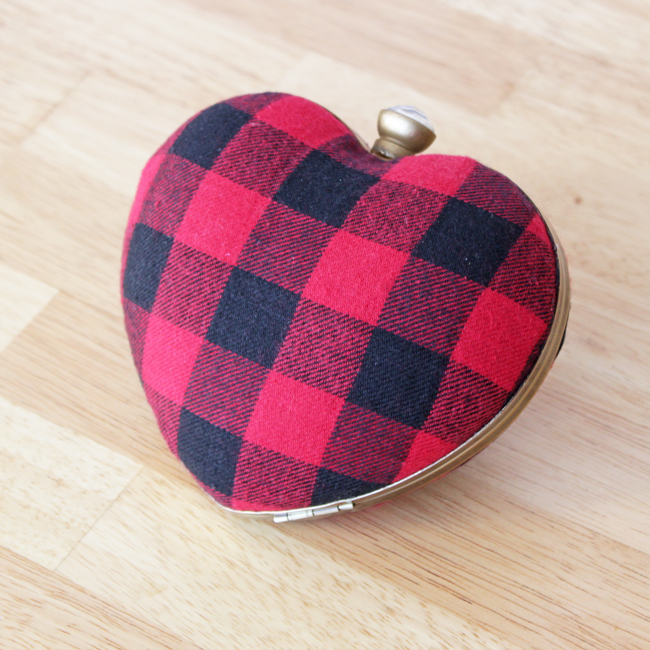 Place your flannel swatch right side down on your work surface and place one of the plastic heart backings from your purse frame curved side down on top of it. 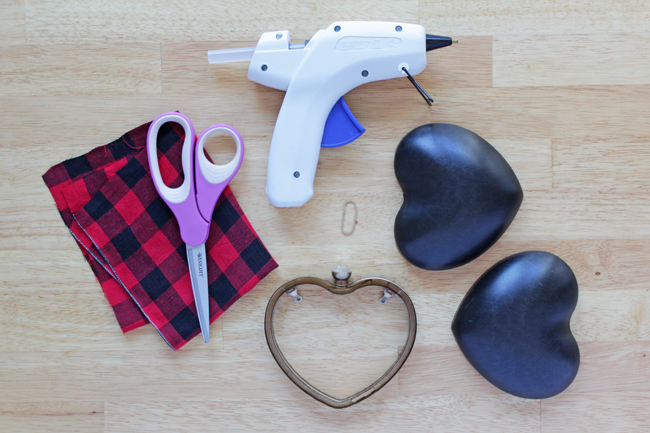 Wrap the heart entirely in the fabric and secure with a rubber band, just like a ponytail. 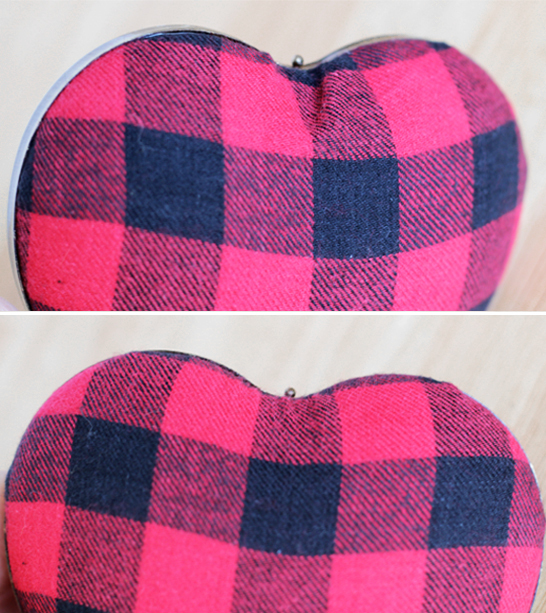 I already did the first half of the heart purse before shooting the photos that follow, but please note that both sides are constructed the same way. 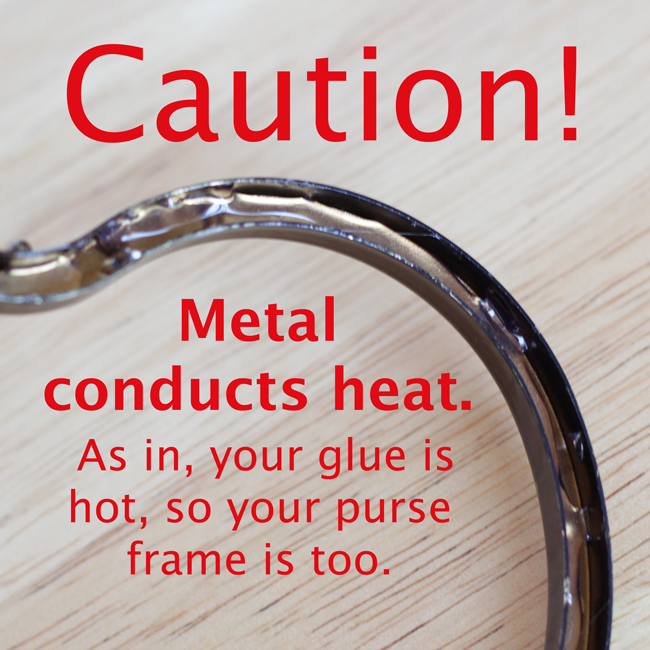 Shoot a line of hot glue into the ridge of one side of your purse frame. Be careful, but work quickly! 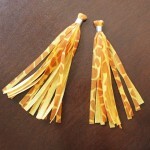 The heat of the glue transfers to the metal, and also dries quickly. Click your wrapped heart backing into place in the ridge along with the glue. Then, keep working quickly to tug on the back side of your heart to smooth out little wrinkles that form on the edges of your heart. 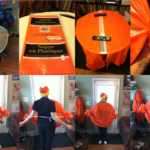 Let the glue dry, turn the whole purse over and cut the excess fabric from the inside of the purse. The outside will look like this when it’s all the way open and done. And closed, this cutie looks like this. If your purse frame came with hooks like mine, you can also add a strap or chain to the purse if clutches drive you nuts. I absolutely love this! I too have fears of the purse frame. 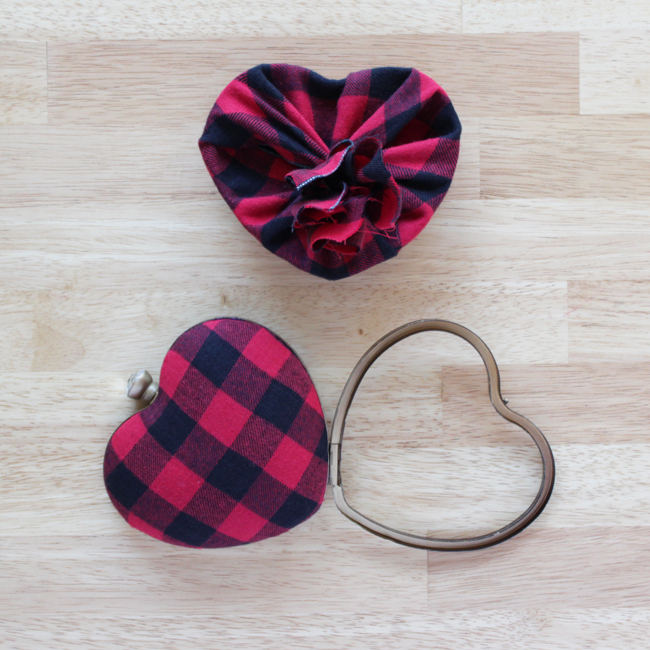 But the idea of making a custom heart purse is irresistible!! I love this. I had no idea you could do them so easily. Thank you for sharing it.